Ready To Find Out Which Product Fits Your Business Management Software? Wondering what conferences are the best for Construction and Real Estate companies to attend? Why not join us at one of the informative conferences we are attending this year. Save time completing the CFMA Benchmarker survey worksheet! Interested in Excel based reporting? Join us for a free webinar where you can learn what the software is capable of and ask any questions you might have. Offering the most affordable live education to maximize your software investment. Getting Started With Event 1 Software, Inc. 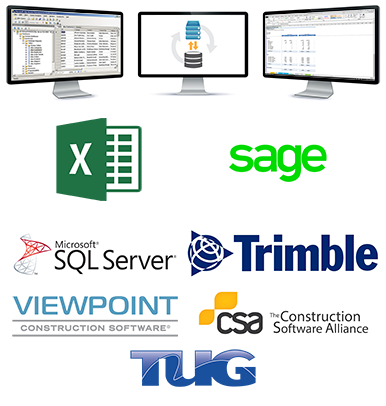 Event 1 Software is here to help you with all your business intelligence reporting needs. For more information on the type of service you need, scroll down and select Read More below for the desired service. Online training classes, led by a live instructor, are available to help you learn how to use your software. Check out the range of training classes offered and sign-up online. Need help with a project? Draw upon our many years of experience and unique qualifications to either complete your project or come along side your team to provide assistance. Whether you just need answers to questions, help with a technical issue, or help licensing your software, our support team and online resources are ready to assist.